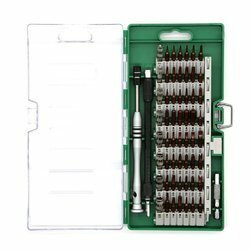 Manufacturer of a wide range of products which include precision screwdriver set, fiber optic cable stripper cutter slitter, precision screw driver set, watch repair tools, adjustable wrench and soldering iron kit. High precision screwdriver head, a high-end steel(chrome vanadium steel)by special heat treatment, hardness can reach HRC52-60. Full set of 24 batch head, complete specifications, can be adapted to work in many different fields.Suitable for most digital products, various types of computer, mobile phone, camera, glasses, watches. The handle in the aviation alloy material manufacture, light and durable, the tail adopts the precision bearing design, flexible and easy to use. With a compact and assorted package, easy to carry everywhere. 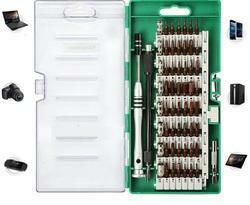 As professional hardware tools, it provides you the most powerful function. 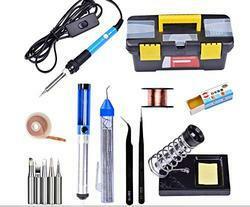 Suitable for most digital products, various types of computer, mobile phone, camera, glasses, watches. 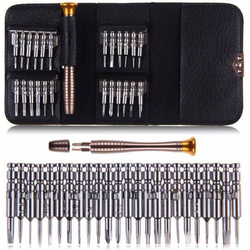 13Pcs Watch Repair Tool Kit Set (Opener Link Spring Bar Remover Screw Driver Tweezer Watchmaker Dedicated Device) accessories tools toolkit..
Can be used as roll style or for wall hanging by simply using the eyelets. 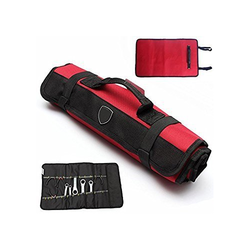 Improve the work efficiency, for protection tools, portable tool kit. 600 d Oxford thickening design, wear-resistant waterproof. Multiple pockets sidekicks design, easy for tools to use, sorting, and line. The bottom thickening, bear the large weight, durable. 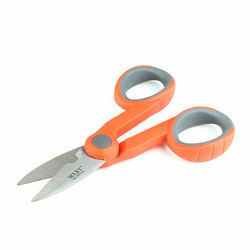 Features Made of chrome vanadium alloy steel,high strength and hardness for long-term use. 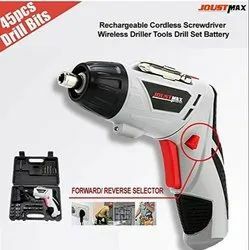 With bits, screwdrivers, sleeves on different specifications, meet your requirements to the maximum extent 1300mAh large capacity battery, stronger endurance 180 degree rotation design, screw in all angles, more convenient With power display and floodlight Length after rotation: 8.66 inches Voltage: DC 4.8V No-load speed: 220rpm Charger: input 220 - 240V, 50Hz - 60Hz Battery type: AA 1.2V Ni-Cd Charging current: 0.3A Charging time: 3 - 5 hours The kit includes a power drill, a word knife, a cross knife, a rice knife, a hexagon socket, a T-shaped and many other kits. Advantages of electric drill design: Strong magnetic chuck, which can rotate the design of the drill bit position. 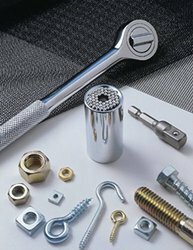 Kit material: Made of chrome vanadium alloy steel, high strength and hardness for long-term use. Widely used in home installation, appliance repair, car disassembly maintenance. Wallet type packing, highlight grade. Light and portable, internal type batch head bayonet fixed,not easy to scattered, different from the traditional plastic box, easy to crush, scattered. High precision screwdriver head,a high-end steel(chrome vanadium steel)by special heat treatment,hardness can reach HRC52-60. 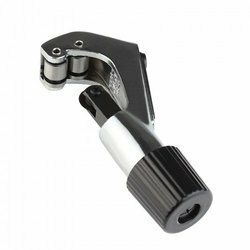 The handle in the aviation alloy material manufacture,light and durable,the tail adopts the precision bearing design,flexible and easy to use. 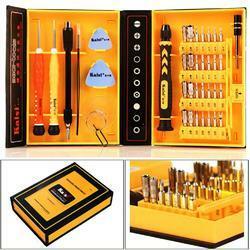 As professional hardware tools,it provides you the most powerful function. 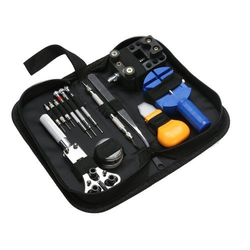 Type: Repair Tools Kit Material: Chrome Vanadium Features: Screwdriver Set, Cellphone Repair Tools Quantity: 1 Set of Screwdrivers Repair Tools Compatible Brand: Universal, Such as: iPhone 3G / 3GS / 4G / 4S / 5 / 5G / 5C / 5S / 6 6 Plus Samsung Galaxy S2 I9100 SII / S3 I9300/S4 I9500/S5 / S6 / S6 Edge Note 2 N7100/Note 3 N9005 N9000/Note 4 N9100 Motorola / HTC / LG / Nokia, etc.